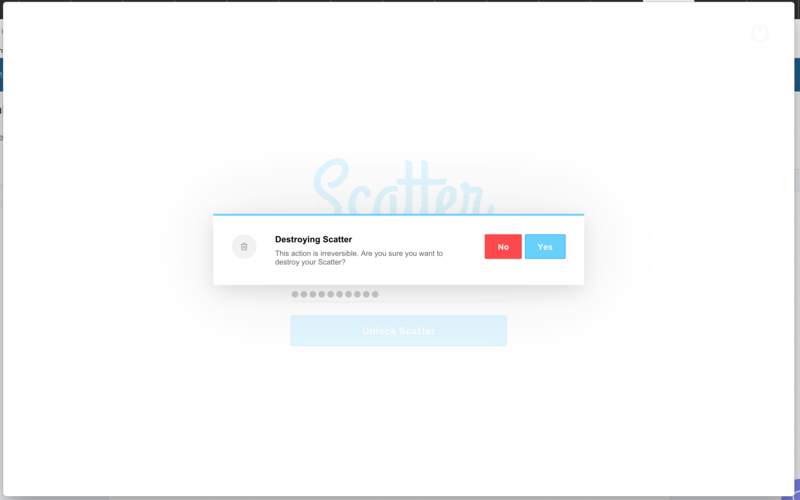 If you find that you need to reset Scatter, for example if you have lost your password, you can destroy your Scatter instance. Please note that this is a permanent action and will completely clear your vault. Make sure that you know where you have backed up your vault to and have access to that json file. To destroy your Scatter instance at the login screen, you have to press "d" ten times. You will see a trash icon in the top-right of the Scatter login screen. After pressing this screen, you will see a popup that confirms that you want to do this.